“ I've only had to take my car here once. But next time I need auto service this will be my first choice to go again. If you're looking for an honest Hillsboro auto repair shop you can trust, consider Aloha Auto Center. We are located at 2810 S.E. 75th Ave., Hillsboro, OR 97123 and have been at this location since we first opened our doors back in April 1996. Over the years, we have been providing our friends and neighbors in Hillsboro and its surrounding communities with top-notch auto repair and maintenance services. We have a team of professional and experienced technicians and auto mechanics who perform a wide variety of auto repair and maintenance services, including welding and custom work, on most makes and models of vehicles. We use only the latest diagnostic equipment and tools when working on your vehicle. Whether you need a major or minor repair, our knowledgeable technicians and auto mechanics will quickly inspect your vehicle, determine the issue, and apply the necessary solutions that will save you valuable time and money. 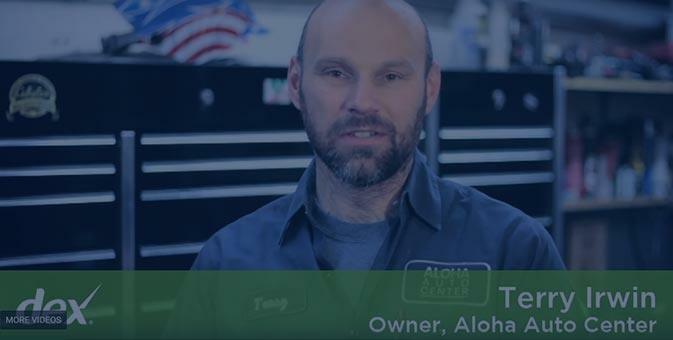 Aloha Auto Center is a small and simple Hillsboro auto repair shop that is very personable and cares about customers’ vehicles as if they were our own. Give us a call or visit our location in Hillsboro, OR. We’d love to help you! Aloha Auto Center is now able to perform DEQ tests on most vehicles 2005 and newer thanks to the new DEQ TOO program. A data transfer fee of $20 is all we collect and you can finish the rest of the renewal online at www.deqtoo.com. No more waiting in line!!!! All of the work done at Aloha Auto Center is backed by a NAPA® warranty, for your peace of mind. Almost every auto repair service we do carries a 12 month or 12,000-mile nationwide warranty.